I flew Etihad last December for a trip to Abu Dhabi and Turkey. One of the planes that I took is the Airbus A330-300, which was on Abu Dhabi-Istanbul segment. 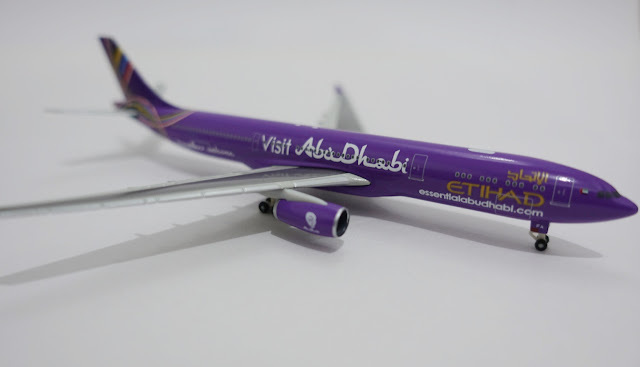 I got the Airbus A330 diecast on sale onboard as a souvenir, although the one I flew didn't have this livery. This is the first 1:500 in my collection. Airbus A330-300 is a twin-jet wide-body aircraft, capable of carrying up to 335 passengers, with range between 5000-13400 kilometers.